As a small business, every customer and transaction is extremely important. With more people relying on the internet for information and reviews about your brand, it's more important than ever to make sure you and your business rank at the top of the search results and provide your customers with the results they are looking for. 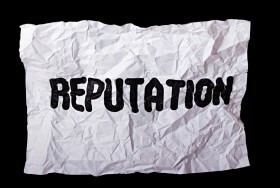 For many small businesses, the idea of managing their online reputation just seems like an extra added cost... however, not caring about what their reputation looks like online could results in thousands of dollars in lost revenue and customers. Let's first think about this as a customer for your local restaurant or small business. If a potential customer wanted to find out your hours of operation or see the most recent customer reviews, what would they find when they searched for your business name online? The only acceptable answer is "Your own web site". If you don't know what appears when someone searches for your name online, then potential negative reviews and even your competition could be showing up for your name! Also, if you are relying on review sites like Yelp, Google Local and Trip Advisor, then you are allowing sites that have complete control over YOUR reviews to post anonymous reviews on whatever they like -- thus being the first impression when someone searches for your brand or business online. With all of that being said... here are some of the best ways to put a reputation management plan in place for your small business, which will not only drive results but also won't put a hole in your wallet in the process. Knowing what and where things are being said about your brand is the first step of reputation management. By setting up online monitoring tools like Google Alerts, you can receive updates whenever your name appears within new content that is ranking in Google. For more advanced monitoring across other platforms and social media, be sure to look through these alternatives. No matter how big or small you may think your brand is, you most know what is being said and where at all times. Once you have a monitoring plan in place and know what is appearing within the search results around your personal name, brand or business, it's then time for you to prepare your plan of attack to clean up any potential negatives. Having a plan in place will allow you to not only clean up and repair any damage that has already been done, but also to address any future issues as well. In addition to monitoring what is currently out there for your name and business, you need to be actively creating your own sites and online presence as well. This is simply one of the best ways to have control over what is appearing within the search results and giving your audience the best information. In addition to a main web site, your small business should also have a blog and an active presence throughout social media. To go along with your own sites, you must have active Twitter, Facebook, Instagram, LinkedIn, Google+ and other social network profiles. In addition to having instant access to over 2 billion users across these social platforms, you will also be able to use your profile to effectively rank higher in the search results as well. The ultimate goal for every individual, brand and business is to "own" the first page of the search results. By this we mean simply being in total control of the first ten listings that appear within Google, Yahoo or Bing when someone searches for your name or business. This is usually done by building out your own web site properties, securing social network profile pages and also using high authority sites that may publish positive press, news or information on your business. By owning the first page of the search results, you are essentially building a wall around your brand to block out any negative content and potential attacks. By implementing these best practices into your small business, you will see a huge improvement in your online presence and first impression that is delivered through the search results. While you may not be concerned about your online reputation and reviews that are representing your brand today, you never know what may happen tomorrow.